Most elementary, middle and high schools in Japan have about 40 days of summer breaks, usually from July 20 to August 31. One interesting fact is they start to gradually shorten the school hours when a break approaches. For example, they normally have 6 periods in a day. Length of a school day varies depending on each school, but let’s say the school starts at 8:20 and ends at 3:00 to cover those 6 periods. From around July 14, they start to have only 4 periods a day. Students eat hot lunch and after cleaning time, they go home at around 1pm. After a few days of that, they will shorten the day even farther. They will have 3 periods a day and no hot lunch, but a cleaning time. The final day of the school, which is usually July 19, they will have only 1 or 2 periods. When the school resumes in September, they will do the opposite. The first day, they have only 1 or 2 periods. Then, they gradually increase the school hours. Does it make it difficult for parents? Kids go to school by themselves and come home by themselves. So, if you are at-home parents, you see them come home early. When they are older, you’d let your kids stay at home by themselves. kids are given home works to do during breaks. It will be either a work book on several subjects or tens of handout made by the teacher. You are supposed to do it little by little everyday to finish it. Some kids don’t do it everyday and they will end up staying up all night to finish it at the end of summer. 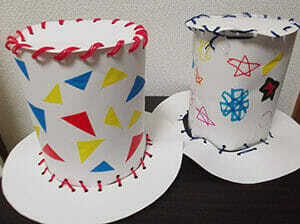 They also give you special assignment such as science project, paper craft, Japanese calligraphy and drawing. Kids in Japan are busy studying in summer! Is summer break too short? Compared to western countries, 40-day summer break seems too short. But it is considered to be long enough by most of parents. It is very hot in most places of Japan in July and August. So, you would take your kids to a local library since it has a good air-conditioning. Swimming pools are popular for kids, too. But for parents, it is burning hot to wait for them beside the pool. You get soaked not by immersing yourself in the water, but just by sitting outside. Still, you would take them to those pools a few times a summer. But that would be the maximum. Working parents don’t get long vacation. Average employees get 5 days of summer holidays and believe it or not, not many people take all of them. That makes it harder to entertain kids during summer break. In cities, many parents send kids to Juku, a cram school, every day. Even if the parents can take their entitled summer break from their employers (which are likely to be big companies), majority of them spend it to visit their parents (kids’ grandparents) in obon. Obon is from August 13 to 15, and people pay homage to their ancestors’ grave. If they don’t need to do so, they would plan a-week-long trip. Popular destination is Hawaii and domestic sightseeing spots. That would be the highlight of the summer. So, in the context of Japanese culture, the summer break is not considered short.